Pantagone satellite makes a significant contribution to simplifying processes by supplying cables assembled with connectors according to customer requirements. The assemblies are manufactured using high-quality cables and connectors, carefully tested according to the relevant standards and delivered with a certificate upon request. 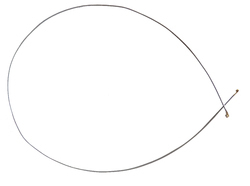 Our broad product lists of Cable Assembly include SMA Cable Assembly, N Type Cable Assembly, BNC Type Cable Assembly, TNC Type Cable Assembly, MMCX Cable Assembly, MCX Cable Assembly, SMB Cable Assembly, QMA Cable Assembly etc. Our variety of RF cable assembly is easy to handle and are available in different sizes and dimensions as per the demands of clients. These are highly durable and are resistant to stress. The wide range is appreciated among our huge base of clients for its proper insulation, heat resistance, high performance and for being dimensionally accurate. 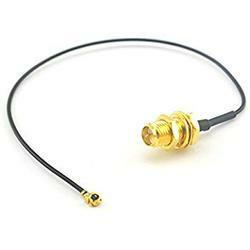 These are specially fabricated to minimize the distortion in transmitting the video data into the audio frequency. Reasonable prices and timely delivery are some of the salient features of our products as well as services. We build custom cables to meet your requirements, whether standard or special. Complete product design, tooling design and fabrication, materials processing and selection, product manufacture, assembly, testing and packaging are available in our facility. By creating and using hand tools and assembly jigs designed for their tasks and using them in our documented production processes, we produce quality with repetition. We have many years of interdisciplinary experience in RF cable assembly sector, and our modern facility is full of talented cabling professionals. 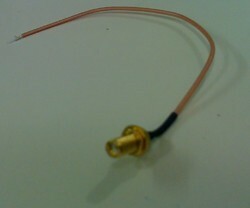 RP SMA to UFL/ IPEX interface Cable. 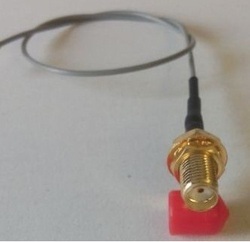 1.13mm Cable length as per your requirement.Use it to attach any standard RP-SMA 2.4GHz antenna to the DPAC 802.11 modules. 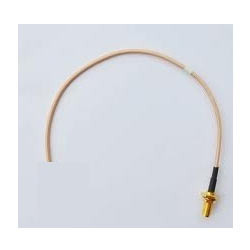 We offer optimum grade RF Cable Connector Assembly to our valuable customers. 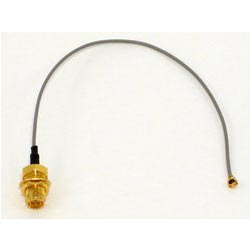 These offered RF cable connector assemblies are commonly used for N, L9, SMA, BNC, C2, TNC, SMZ, MCX and SMB type series cable assembly applications. These RF cable connectors are available with us at affordable market prices. 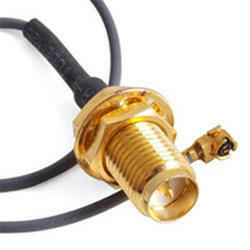 Our company is instrumental in offering premium quality UFL Cable to our esteemed customers. The offered UFL cables are commonly used inside various sophisticated embedded systems and laptops. These UFL cables are used for connecting the Wi-Fi antenna to a Mini PCI cards. In addition to this, these UFL cables are used to connect various GPS antennas. 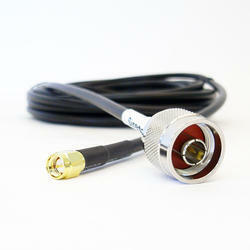 We are among the leading manufacturers, suppliers and traders of premium quality RF Female Cable. 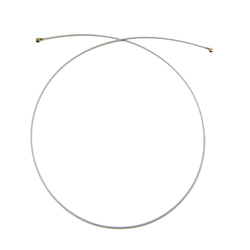 These RF female cables are commonly used for joining different coaxial cables. 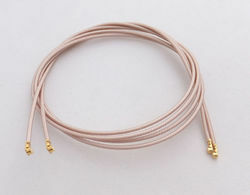 We deliver these RF female cables within promised time frame at the customer’s end due to our well connected distribution network. 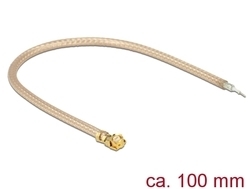 Owing to the vast experience and knowledge of this domain, we have been able to offer premium quality SMA Female Bulkhead Cable to our valuable customers. 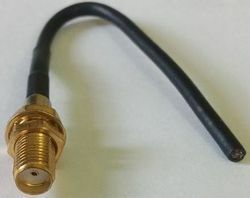 These SMA female bulkhead cables are widely used as a minimal connector interface for various coaxial cables. As per the specification provided by the customers, these cables can be custom designed. At Eteily Technologies India Pvt Ltd, we are rethinking every angle of RF coaxial connectors design and manufacturing. In the process of improving performance and reducing costs, old standards are being reinvented from the inside out and new innovations are helping you reach increasingly higher frequencies. Our experienced in-house team can provide you with not only a wide range of standard coaxial connector products, but also the support you need to solve all your RF connectivity problems. 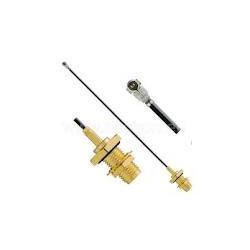 TE Connectivity (TE)’s RF and coax connectors feature impedance-matched designs and microminiature interfaces, with the ruggedness to help withstand high-use in harsh environments. Available with tight-tolerance electrical characteristics, small sizes, and rugged yet lighter weight materials, our RF coax connectors – which include SMP, SMA, BNC, and TNC products – support frequencies to most bands and above, with the versatility needed in high-density packaging. Our design capability is the foundation of our business where a commitment to service and quality are guaranteed. 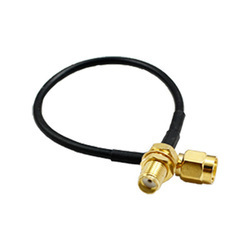 With many years experience in the RF connectors market, we are experts at manufacturing and supplying RF coaxial connectors for very diverse applications.